Goals about solving specific problems are not really good ones to set for a variety of reasons. Instead of making “solving” a specific problem your goal, set this one instead: organize and re-analyze everything that I’ve already collected on that family and ask (or hire) someone to help me with that problem. That’s probably more work than solving a specific problem anyway and may lead in directions you never expected. 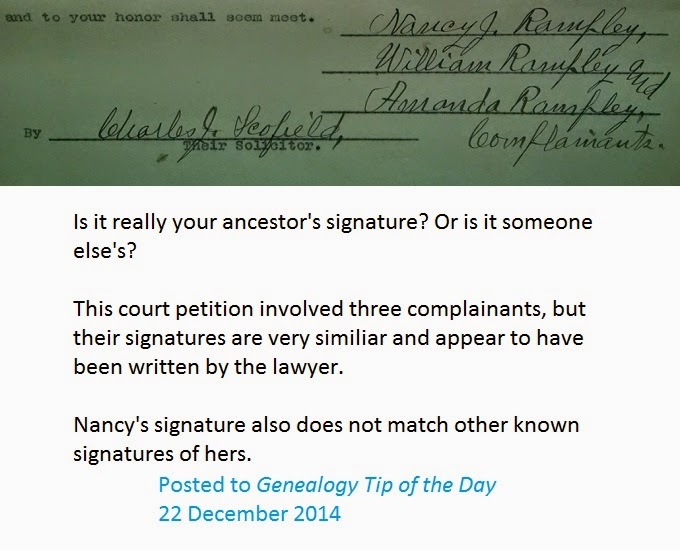 Is that really your ancestor’s signature? This early 20th century court document may look like it contains the signatures of Nancy, William, and Amanda Rampley, but that writing actually looks like that of the attorney, Charles J. Scofield. It’s always advised to compare any writing you think is your relative’s to that of others on the same page. What you think is theirs may not be. Read the “more about,” “FAQ,” or whatever they call it to determine just how complete the database is. It does include records between 1800 and 1900, but there are gaps. And of course, your person of interest lived in the area from 1830 until 1840…and his grandson lived there from 1892-1898. What Have You Preserved Today and How? Do you have pictures or other ephemera that you’ve not tried to save in some way? Don’t wait until it is too late. 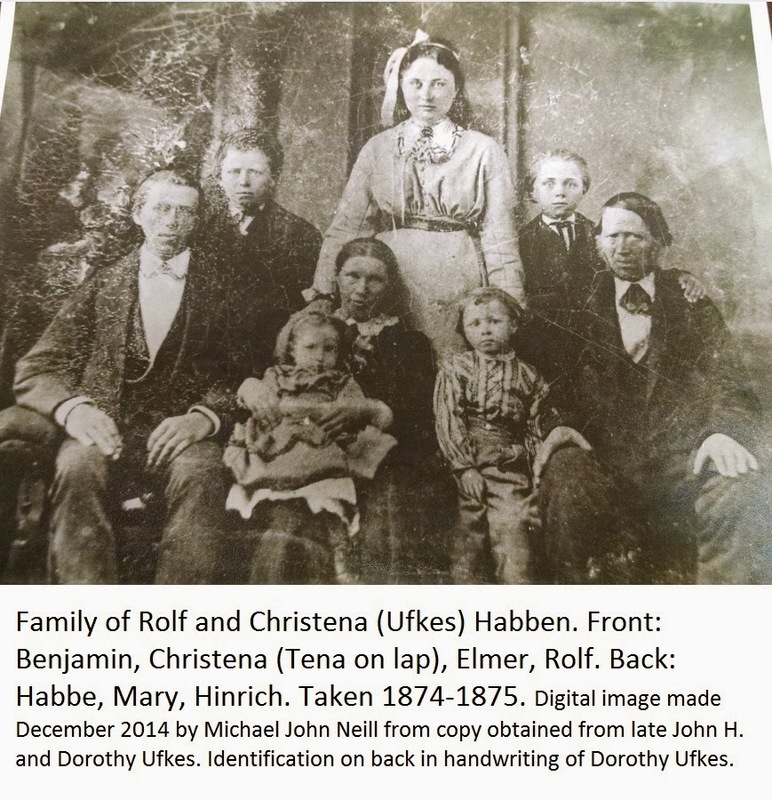 For pictures, make certain to include identification if you have it, who made the digital image, where they got it, and who made identification. Those pieces of information are good ones to have for someone who may come across your image years later. 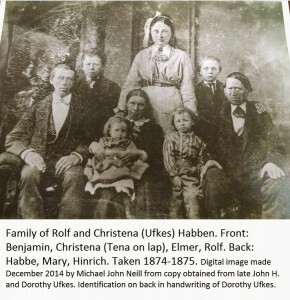 Note: Christena Ufkes Habben is a sister to my great-great-grandfather, Johann Ufkes (1838-1924).